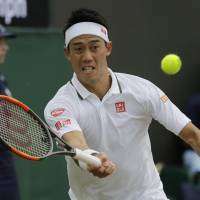 Up until the midway point of the second set of his fourth-round match with Ernests Gulbis, it appeared Manic Monday was going to get the best of Kei Nishikori once again. Having fallen twice previously on the day of Wimbledon’s annual tennis smorgasbord — where all 32 players left in the men’s and women’s draws are in action after Sunday’s traditional day off — Nishikori found himself down a set and reeling in the second. Battling through an elbow injury, Nishikori slowly worked his way into form and took a pair of tiebreakers before cruising in the fourth and final set. 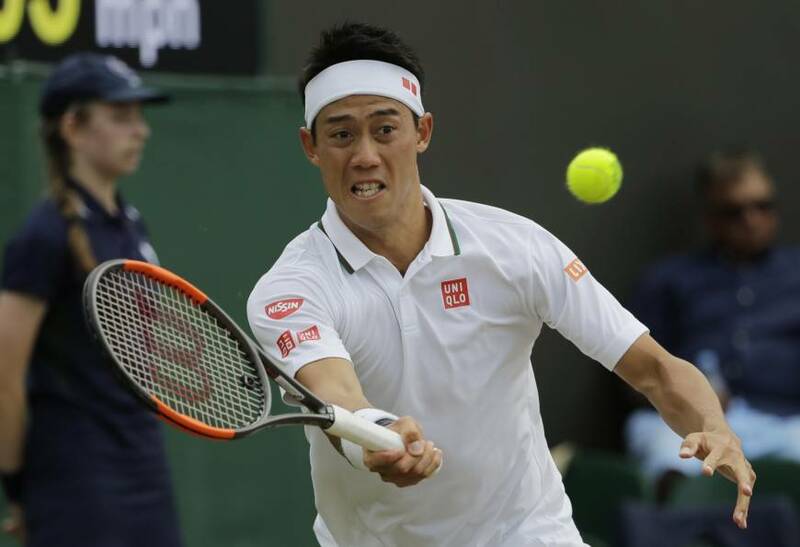 At 28, Nishikori now finds himself in his first Wimbledon quarterfinal, up against a familiar foe in Novak Djokovic, and in the midst of a pivotal period of his career. When Nishikori, then 24, upset Djokovic in the semifinals of the 2014 U.S. Open, many tennis pundits saw the win as a significant stepping stone for what would surely be his ultimate destiny: to become Japan’s first-ever Grand Slam singles champion. But nearly four years and countless injuries later, Nishikori has yet to get back to a major final and has only gone as deep as the semifinals once. Instead, he has become one of the faces of the sport’s so-called lost generation, the group of mid-to-late twentysomethings who have mostly failed to make their mark in slams and break the stranglehold that three of the game’s all-time greats have had on the sport’s majors. Time isn’t necessarily running out just yet — Roger Federer and Rafael Nadal have proven that 30 is the new 20 in the men’s game — but for a player who is banged up as often as he is, it’s hard to picture Nishikori in the top 10 five years down the road. Wimbledon still feels like an unlikely tournament for a long-awaited triumph — Federer and Nadal appear to be on a collision course for the final and grass is typically seen as Nishikori’s worst surface. But the No. 24 seed expressed growing confidence in his grass-court game following Monday’s win. “I’m playing more comfortable and I know what I have to do now. . . . It feels a little different than in the past,” he told a news conference, noting that his serve has played a role in this year’s success. And with wins over top opponents at majors having become a rarity for him since that run in New York, he could surely use the confidence boost that such a win can provide. If it comes against Djokovic on Wednesday, it’ll be the end of a 12-match head-to-head losing streak dating back to — you guessed it — the 2014 U.S. Open. Despite their numerous clashes of the past, Wednesday will be the pair’s first matchup on grass. “It’s going to be a new game for us, but he’s always a big war for me. I always enjoy playing against him and it’s always a big challenge,” Nishikori said. He might be a longshot for the title, but another signature win over one of the sport’s giants could help Nishikori lay the foundation for a future run at an elusive first major.